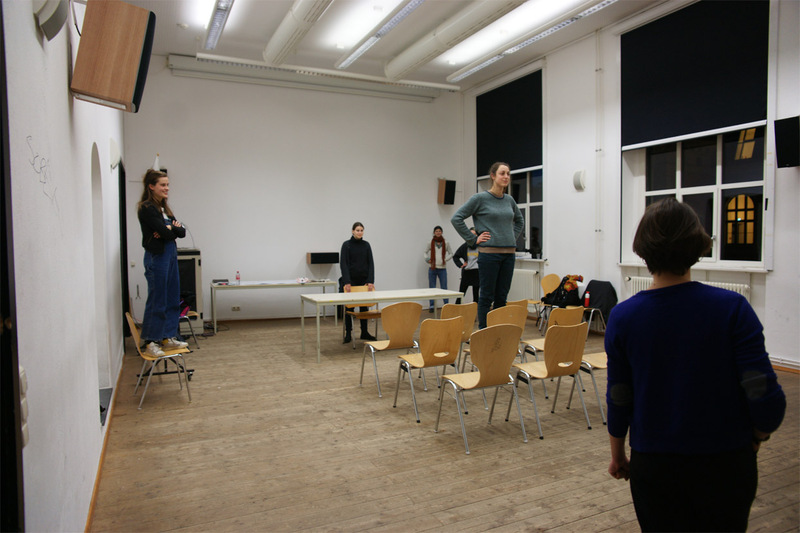 In December 2016 Margarita del Carmen and Kristian Byskov (both members of the ATB group) visited Leipzig for a workshop. Their Input was part of the program on trans-cultural education opentheopening. 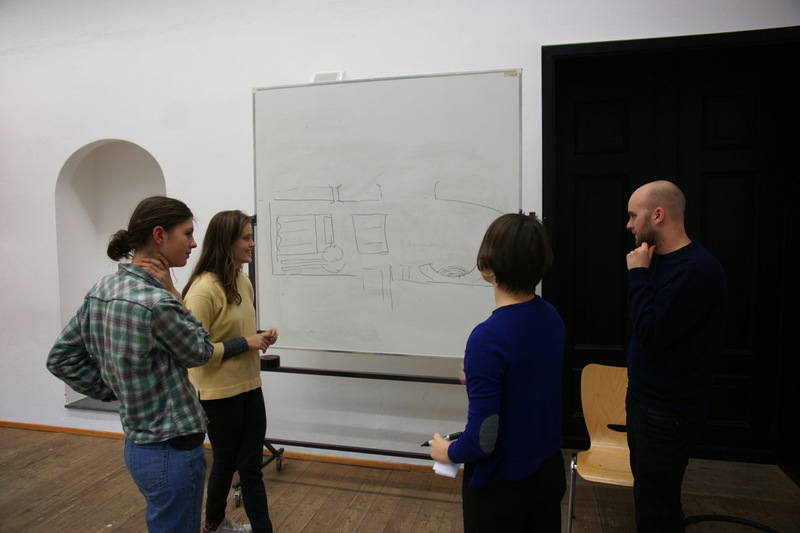 In three afternoons, they presented their method of theatre in urban design. 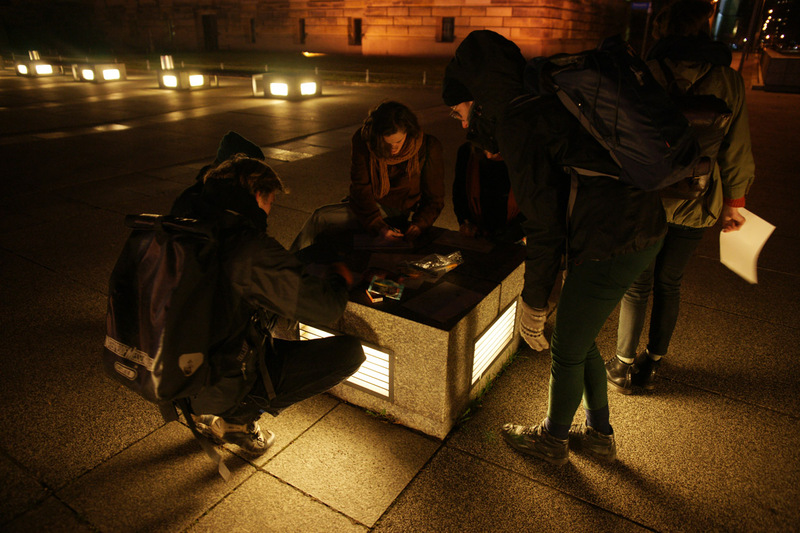 Together we experiment, investigate and play with how we perceive urban space and possible ways to change and inhabit it. The theatrical method introduced function as a vessel for both creativity as well as a way to enhance collaboration. 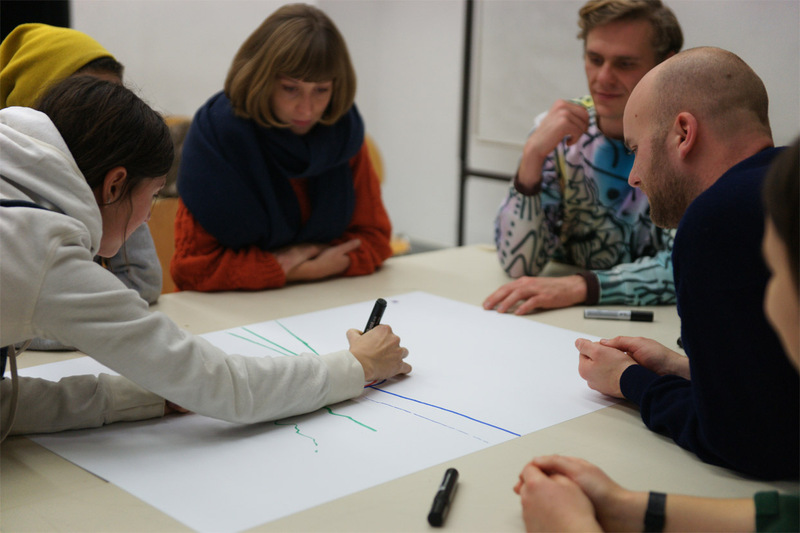 The workshop focused on intersectionary knowledge production between urban planning, architecture, theatre, performance, pedagogy, group work and more. Personally I really liked their approach on spacial design oriented by social needs of its inhabitants, putting a spotlight on that are the oppressors around us, as well as that every day ended with a full-filling AHA-Effect, thanks for the great Workshop!